The Zinn Education Project was thrilled to collaborate with the Durham Association of Educators (DAE) to bring our Teach Reconstruction campaign to teachers in North Carolina. Examining the legacies of Reconstruction in Durham was particularly poignant given the toppling of a Confederate monument by protestors last year and the city’s ongoing discussion of what should take its place. 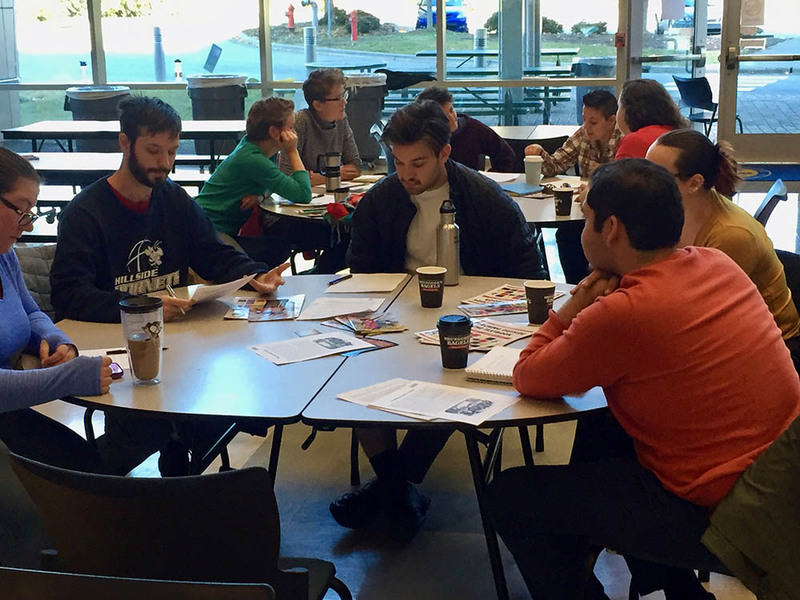 DAE offers a monthly Saturday Academy, where educators can access high-level, relevant professional development. 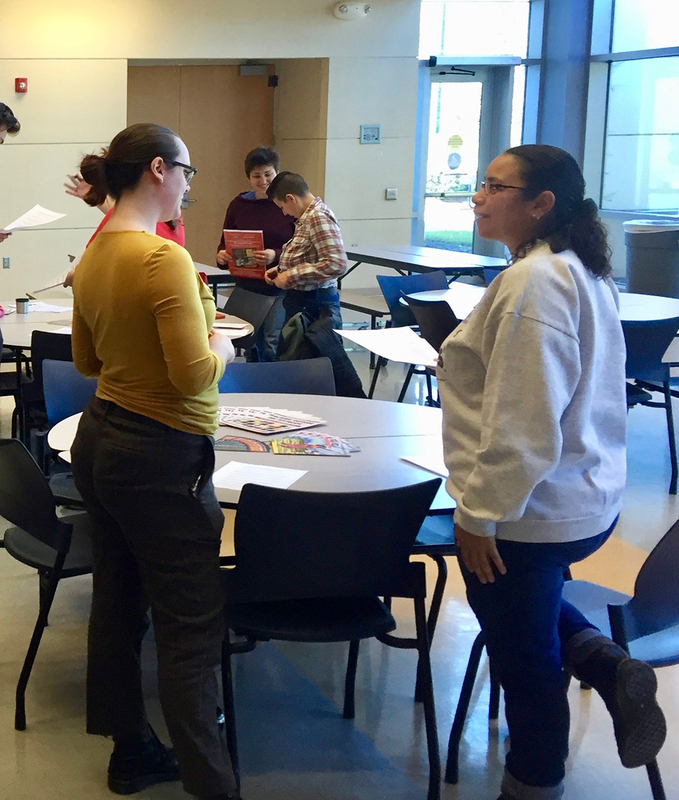 On November 17, Ursula Wolfe-Rocca of the Zinn Education Project joined that effort by offering a half-day workshop on Reconstruction. In too many history classes, the era immediately following the Civil War is rushed through, treated as a footnote, or wrongly framed as doomed from the start. We believe Reconstruction deserves more space and attention in the curriculum, as it is a high point in the history of U.S. democratic institutions, and is a time, like our own, in which activists sought to make Black lives matter. My Reconstruction unit will be totally different than in the past. I plan to bring this mixer in as a project/assignment to end the year. Thanks for materials/activities that demand Reconstruction is taught from an intersectional lens. All of history is complex and it makes so much more sense in context. The Reconstruction mixer is awesome! I learned a lot about how to bring more content to life through engaging strategies. . . and pushing students to think deeply. I gained knowledge of people involved in Reconstruction that I did not know existed. I will use the information to tie in with the lesson as it relates to North Carolina history. I enjoyed participating in the lesson I would use with my kids. It helps me better understand how to implement the lesson as well as brainstorm possible ways to adapt the lesson to my room. The workshop closed with a conversation about how to claim more time and space for Reconstruction history given the constraints of the required curriculum and standardized scope and sequence. One teacher suggested moving away from the traditional chronological approach. She proposed creating a new unit on 19th-century Black activism, emphasizing continuities between Abolitionism, the Civil War, and Reconstruction. Conversations like these are vital to the work of teaching people’s history and to ensuring that critical historical moments like Reconstruction get their due. We hope Durham teachers will continue this important work and others will follow their lead. 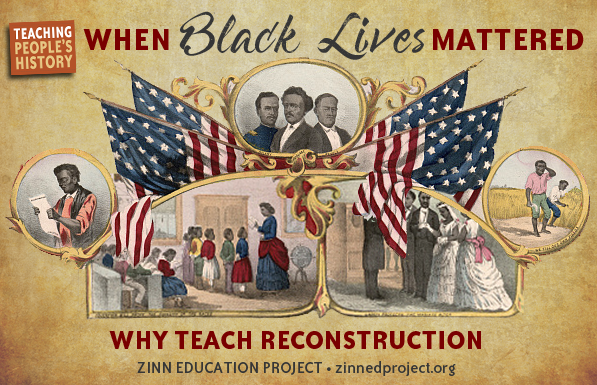 Learn more about our Reconstruction campaign or bring a Zinn Education Project workshop to your school or site. 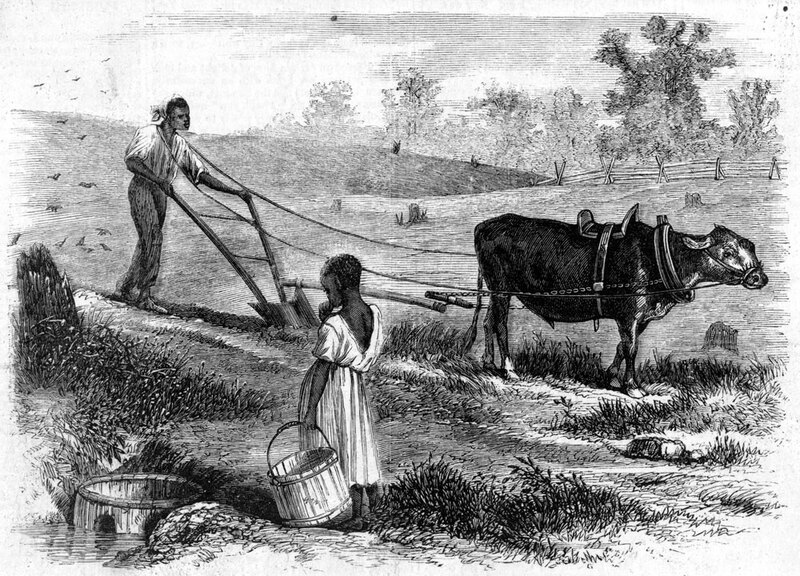 Reconstruction, the era immediately following the Civil War and emancipation, is full of stories that help us see the possibility of a future defined by racial equity. Though often overlooked in classrooms across the country, Reconstruction was a period where the impossible suddenly became possible.